Walkers to the Kosciuszko National Park are presumed to have inadvertently introduced seeds of Orange Hawkweed, an evasive and noxious weed that has devastated ecology in New Zealand and the United States. 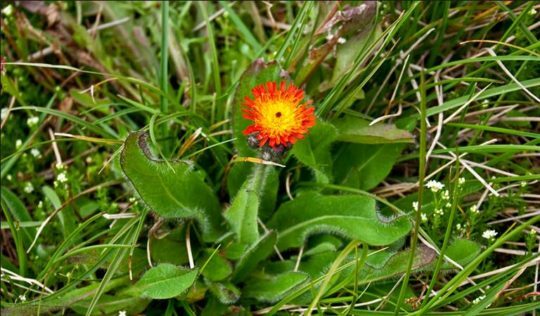 Orange hawkweed has become a noxious weed in Kosciuszko National Park, threatening Australian native plants and biodiversity. 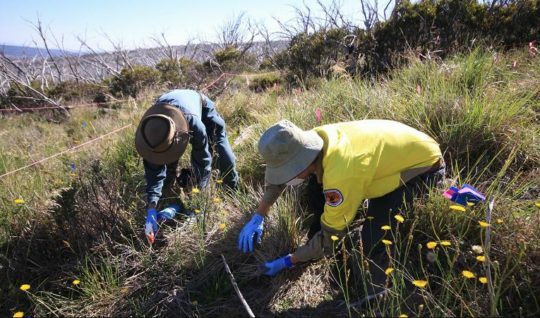 The orange hawkweed control programme by the New South Wales National Parks and Wildlife Service involves volunteers surveying infestation sites in the park, and then removing flowering heads and applying herbicides to reduce density and help to prevent spread. Orange Hawkweed – note the furry leaves! This entry was posted on Sunday, October 22nd, 2017	and is filed under Threats from Weeds. I am horrified to learn that Kosciuszko National Park is now infested by the Orange Hawkweed (Hieracium Aurantiacum) and glad that the infestation is taken seriously and people are willing to volunteer to remove it from the park. The introduction could have happened not only by walkers but by wind as people still grow the orange hawkweed in their gardens and the seed are dispersed by wind.. The seeds are available from Plant World Seeds nursery for $3.14 a packet as well as advice on how to plant and grow them. It is very unfortunately that Australia’s biosecurity is not very strict; it is practically nonexistent, because seeds of weeds and weedy plants can be still imported. There is no regulation or education of the public about weeds. The horticulturalists are not ecologists and the nurseries advice to a buyer of plants is “be a spoiled brat, plant what you like and I will show you how”, and people plant what they consider to be beautiful or ornamental in their gardens. So until the weeds problem is taken seriously by the government and the public, these problems are going to persist. It is established that Australia is spending a lot of money on eradication of invasive species and yet there is no education about the damage they are doing to the environment no laws and their enforcements on the sale and planting of such invasive species in ornamental gardens.